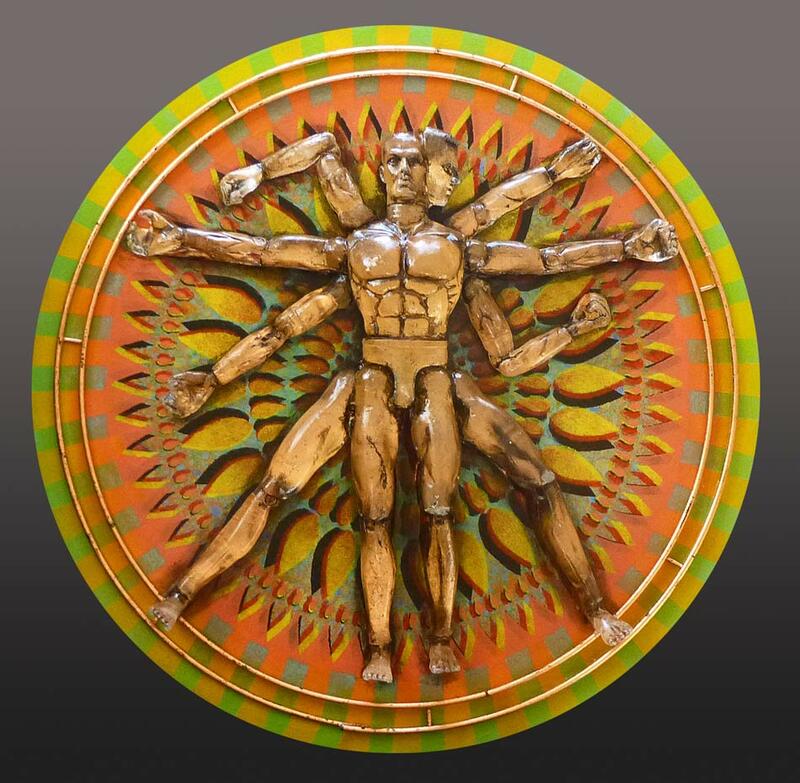 This is the another evolution of my updates on da Vinci’s “Vitruvian Man”. 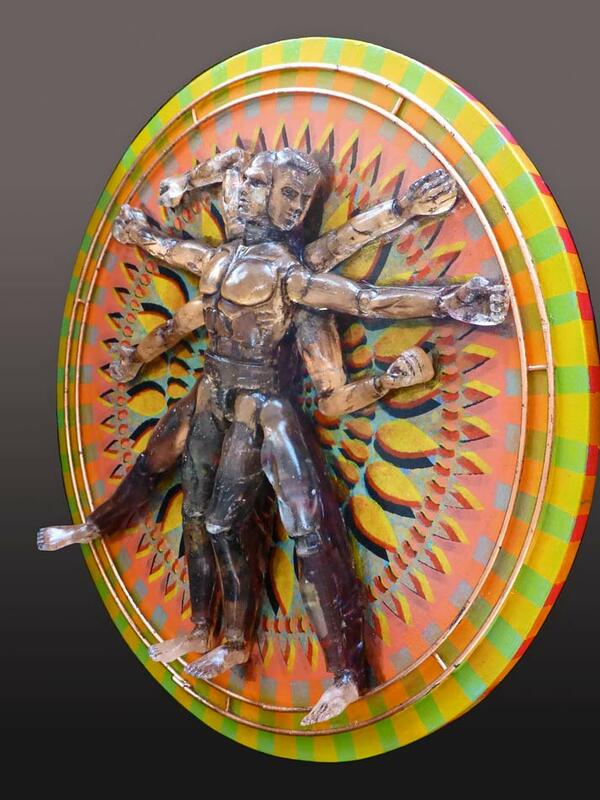 This version adds extra limbs inspired by Hindu and Buddhist icons, suggesting the man in motion. The black wash on the side adds depth, while viewing straight on, the copper leaf adds brightness.